Not all window washers are the same. 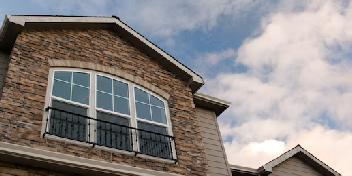 We hope this guide will help you determine the best window cleaning business for you. • Find out how long they have been in business. Make sure that they have an established business, not one that was started last month. It doesn’t take much to start a window cleaning business, but it takes hard work and satisfied customers to stay in business for a long time. • Make sure they wash windows all year long (when temperatures are above freezing) and are not washing windows just as a summer job or second job. • Be careful about franchises, they are great for fast food but not for window cleaning. Quality, experience, and customer service vary with each owner. The original business may have been great with high standards, but your experience with the local franchise may be less than stellar. Wilson Window Cleaning has been in business since 1970, serving the suburbs of Chicago all year, and has always been family owned. • You should expect your window cleaners to be presentable. They shouldn’t be wearing jeans with holes, cut-off sleeves or other clothes that do not have a clean appearance. • A professional window cleaner will not smoke on your property or smell of smoke. • A professional window cleaner will have a vehicle dedicated to the business which is marked with the business name. They shouldn’t be working out of the trunk of their car. • The way a window cleaner presents himself/herself is representative of how your windows will be cleaned. We wear company uniforms, are pleasant to be around, have company vans, and it is obvious that we are professional window cleaners. • You want to make sure that the company or window washer you choose verifies with their customers that they are satisfied with their windows. • Make sure that the window cleaner stands behind their service. A good window cleaner will come back if you find something wrong or something that was missed. Everyone makes mistakes and good window cleaners will return free of charge to correct the problem. • You want a customer focused business that has window cleaners that take the time and care to do the job right the first time, not one that will do a rush job trying to get to the next site. Before we leave, we check to make sure that everything is to your satisfaction. In the rare chance that you find something later, we will return at our expense to correct the problem. We care about you and want your home or business to look great, so we take the time to do a quality job the first time. Before you let any window washer on your property make sure that they are insured. In the unlikely chance of them damaging something or of someone getting injured, for example, from a falling ladder or a moving motor vehicle, you should have the peace of mind that they have the insurance to cover any damages. They should have liability insurance, not just auto insurance. Any professional window cleaning business will have insurance, if they don’t you should find someone else. We wouldn’t even think about not having insurance, it is the best thing for us and you. • Quotations for your home or business should be free so that you can decide based on price and other factors listed in this guide who you should hire to clean your windows. • All quotations should be the actual expected cost to do the job. They should not be low-balling the cost in order for you to choose them only to surprise you with additional costs later. If something was missed, a good window cleaner will contact you before doing any work that will cost you more money. • You should expect the window cleaning business to tailor the quotation to your needs and budget such as only doing the outside or only doing windows above ground floor. • The old adage that “you get what you pay for” holds true for window cleaners. The lowest quotation will probably be of lower quality and more of a rush job as that cleaner has to get to the next job as soon as possible to maximize profits. Look for a balance of price, experience, reliability, and customer satisfaction. Wilson Window Cleaning offers free estimates and has fair prices for the quality service we provide. We will work with you to meet your specific needs and budget. Our quotations are close to the actual cost, if there is any difference we will let you know before we start. • You should know when to expect the window washer in a narrow window of a few hours. • You should also expect to be called if there will be any delays. We will tell you a narrow window of time in which to expect us and will keep you informed of any unexpected changes. You shouldn’t have to worry about items missing from your property or someone going through your things. We have been in business for over 40 years and have the up most respect for you and your property. We wouldn’t be in business if it wasn’t for the many customers that have placed their trust in us.